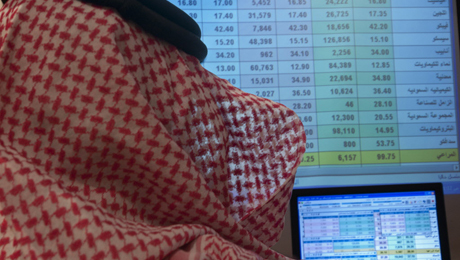 Hopes are on the rise again that Saudi Arabia may open its stock market to foreign investors. Here’s why it might really happen this time. Things change slowly in Saudi Arabia, if they change at all. The country has long defied foreign investors who would try to guess its next move. Like a mirage, Saudi Arabias promise  be it lucrative construction contracts or the chance to invest in cash-rich companies  taunts thirsty believers before disappearing into the desert sand. 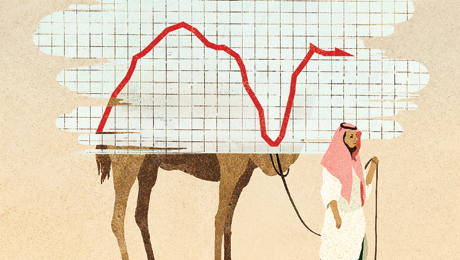 Change comes particularly slowly in the realm of Saudi finance. In the time it took its upstart neighbors Dubai and Doha to build entire cities, Riyadh has managed, after many fits and starts, to pass a mortgage law to allow its own population to buy homes on credit. Those who have faith that the Saudis will one day open their equity market to foreigners are especially patient souls. At a time when the capital markets of the United Arab Emirates and Qatar are angling to get an upgrade to MSCIs emerging-markets index, the Saudi stock market, the Tadawul, remains sealed off from direct foreign investment. But foreigners and Saudis are used to reading signs, and lately they find fresh reason for optimism. The replacement of a key figure, a board reshuffle, even an eerie silence on a once-hot issue  these are often the harbingers of change in Saudi Arabia. The recently adopted mortgage law, for instance, was seven years in the making. After repeated hints and rumors failed to pan out, most observers had given up hope of seeing the measure adopted  then, suddenly, the kingdoms Council of Ministers enacted the law last July. Such is the nature of change in the Gulfs biggest, and most opaque, economy. In my experience of being in Saudi, when things go quiet on the reform front for a while, they usually then accelerate pretty quickly, says Farouk Soussa, chief economist for the Middle East at Citigroup in Dubai. Ever since the government established the Capital Market Authority in 2004 to regulate the countrys stock market, tongues have been wagging about the prospect of opening the Tadawul and its $380 billion worth of companies to foreign investors. For Saudi watchers the latest sign was the February appointment of Mohammed Alsheikh as CMA chairman, replacing Abdulrahman al-Tuwaijri. Alsheikh has an impressive résumé. A veteran lawyer with a master of laws degree from Harvard Law School, he spent nearly two decades representing sovereign wealth funds, governments and banks in Saudi Arabia; worked as the local partner of U.S. law firm Latham & Watkins; and last September was appointed by the government as Saudi Arabias executive director at the World Bank. Alsheikhs experience and government connections make him a good candidate to see through a liberalization of the Tadawul, says Said Hirsh, an independent financial analyst in London and a former economist at Capital Economics. He cautions, however, that the ultimate authority rests with the House of Saud, led by King Abdullah. For now, the Tadawul remains dominated by retail investors, who generate a staggering 95 percent of trades. The reason is simple: A generous welfare system flush with oil revenue leaves most Saudis with money to put to work, and the kingdom offers little else in the way of investment opportunities. Mohammed al-Omran, a financial analyst and president of the Gulf Center for Financial Consultancy, in Riyadh, says Saudis have only two real investment options: the capital markets and the property market. Considering that Saudi cities have some of the highest land prices in the world and that homes are in short supply, the markets usually win out. The preponderance of retail investors means that although the market has liquidity, there is little depth. There are three government-­sponsored institutional funds with total assets of 428 billion riyals ($114 billion), but they are passive investors and add little to trading values. The largest, the Public Investment Fund, has holdings worth 303.8 billion riyals, including stakes of 5 percent in 18 companies, according to NCB Capital, a Riyadh brokerage. The only way for foreigners to play the Tadawul is through equity swaps and exchange-traded funds, which account for less than 5 percent of trades on the Tadawul, estimates Hirsh. How imminent is a market opening? Market watchers inside and outside the country are divided on the question. It doesnt help that CMA officials rarely go on the record. Alsheikh has not spoken publicly since taking over at the regulatory authority. Citigroups Soussa is optimistic, saying that he expects the authorities to admit foreign investors to the Tadawul sometime this year. Others are more cautious. Saud Masud, a longtime Saudi watcher who heads his own, New Yorkbased investment consulting firm, SM Advisory Group, believes liberalization wont take place until 2014 or 2015. In many ways, the time is ripe for opening up the market. The Arab Spring is more than two years old, and worries about the potential for uprisings in the Gulf region have largely receded. Civil war may be raging in Syria, and the Muslim Brotherhoodled government in Egypt is having trouble restoring order and reviving that economy, but Saudi Arabia and its Gulf neighbors appear to be bulwarks of stability. The Saudi economy is pretty robust too. Firm oil prices are keeping the governments coffers full and the current account in surplus to the tune of more than 25 percent of gross domestic product, according to the International Monetary Fund. A rising population of some 28 million people  a majority of whom are under 30 and looking to start families and buy homes  is fueling domestic demand in the nonoil sector. The IMF forecasts that the economy will grow by 4.2 percent this year, down from 6 percent in 2012 but still one of the fastest rates in the Middle East. You are not going to get better market conditions than now, Masud says. Although the macroeconomic circumstances may be attractive to foreign investors, the Saudi market has a number of structural issues that could limit potential capital inflows. Unlike those in most frontier markets, almost every company listed on the Tadawul is tightly controlled by either its founding family or the state. Saudi Arabia Basic Industries Corp., the giant petrochemicals company that is the bluest of the countrys blue chips, is 75 percent-owned by the government; the market float is just 25 percent. The numbers are even starker at Kingdom Holding Co., the investment conglomerate of Prince Alwaleed Bin Talal. He retains ownership of 95 percent of the company, leaving just 5 percent to the market. Even smaller companies tend to be tightly held. Jarir Marketing Co., the countrys leading retailer of stationery and computer products, has less than 40 percent of its stock trading in the market; its founders, the al-Aqeel family, retain the rest. As a result of this market structure, there is not a lot of stock available for outside investors. This shortage of stock helped fuel a powerful rally a decade ago. Between 2003 and early 2006, the Tadawul All Share Index climbed 700 percent, to a peak of 20,635 in February 2006. With the markets price-to-earnings ratio hitting a high of 40, analysts warned that Saudi stocks were overvalued. (By comparison, the S&P 500 index was trading in late March at about 14 times estimated 2013 earnings.) The correction was swift and brutal. The index plummeted to end 2006 below 8,000, slashing the total market capitalization by more than half, to about $320 billion from $800 billion. Saudi investors, many of whom had borrowed heavily from banks to get in on the rally, sold in panic. They blamed the government for not doing enough to cool down the market and for openly encouraging investors to buy stock during the boom. Investors are not eager to see the market ride that roller coaster again, but neither do they appreciate its lackluster performance of late. The Tadawul has remained stagnant at under 7,000 points, except for a brief rally in 2012 that brought it close to 8,000 for a short time. Valuations, on the other hand, are much more reasonable: Stocks were trading in late March at an average of 13.3 times earnings. 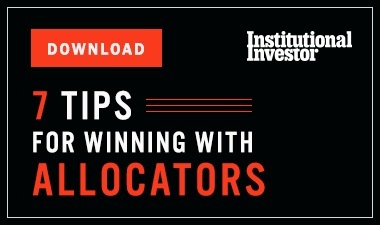 Attracting foreign investors is not just about making more money, though. Many advocates of liberalization believe foreign investors will raise the quality and transparency of the market. Manipulation is a real problem, however, acknowledged by none other than King Abdullah. In September 2012 the king made a rare intervention into market matters by ordering a crackdown on stock manipulation and specifically saying that members of the royal family should not be exempt from penalties. 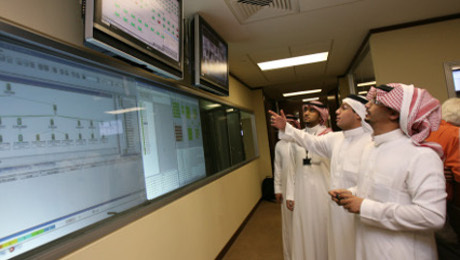 In its review of the Saudi economy last year, the IMF endorsed the view of the countrys authorities that the limited opening of the market, via ETFs, had produced benefits in terms of an expansion in the number of companies listed and in strengthening disclosures. The Fund expressed concerns, however, about the determination of the authorities to crack down on insider trading. The track record of the CMA on enforcement is not fully transparent, the IMF said. Still, the degree of transparency has improved in the corporate arena. Al Rajhi Capital analysts are now regularly invited to investor roundtables by Saudi companies and have observed that most now publish their reports in English and Arabic, even though they are not yet required to do so. Saudi Arabian Mining Co., also known as Maaden, began publishing its annual report in English on its website in 2010. Its shares were trading last month at 33.40 riyals, up from 18.60 in May 2010. 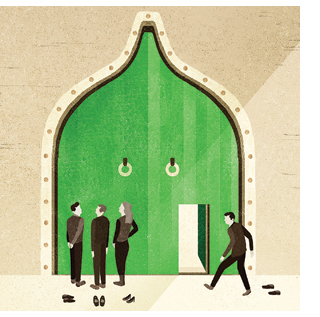 The question of what kind of market the Tadawul will be if and when the Saudis open its doors is difficult to answer, but it will almost certainly be heavily restricted. Analysts expect only small portions of companies to be open to foreign investment, in line with other Gulf countries, like Qatar, which allows foreigners to invest in only one quarter of local companies. Analysts also think its likely that the authorities will impose a minimum time period before foreigners can sell any shares they hold. Al Rajhi predicts there will be restrictions on foreigners buying IPOs, while Hirsh believes the authorities will limit the range of companies in which foreigners can invest. It is unlikely that the Saudis will hand great control to foreigners in key companies such as Sabic, he says of the petrochemicals concern. The imprimatur of an international index provider such as MSCI will be crucial to attracting foreign interest. Over the border in Qatar and the UAE, the tiny exchanges of Doha, Dubai and Abu Dhabi are ranked as frontier markets by MSCI, but they are expecting an upgrade to emerging-market status later this year, after three years of lobbying. 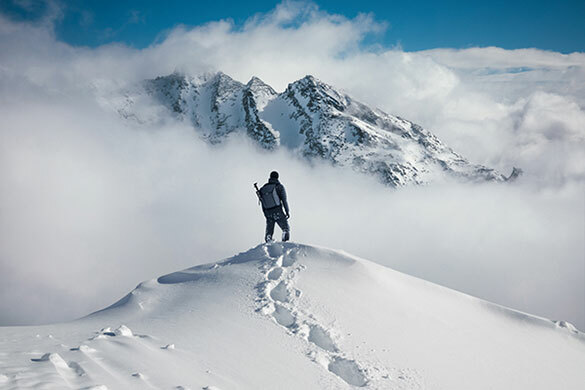 Its a lucrative prospect given that some $1.4 trillion in assets are benchmarked against MSCIs emerging-­markets indexes, compared with just $2.7 billion pegged to its frontier markets indexes. Sebastien Lieblich, executive director in the index department at MSCI in New York, says the Saudi market cant be considered for the companys emerging-markets or frontier indexes until it opens to foreign investors. If the authorities do open up, however, the Tadawul could potentially go straight to emerging-market status. The Saudi market is so big that even if they opened just a small fraction of it, they could become an emerging market, Lieblich says. He adds that he hasnt had contact with Saudi market regulators since last year, when the company set up the MSCI Saudi Arabia Domestic Index, which is aimed at GCC investors. Weve heard the rumors like everyone else, but weve not heard any suggestion that it will change any time soon, notes Lieblich. Perhaps, as Citigroups Soussa believes, the silence from the CMA is the calm that indicates a change is brewing. With major customers such as the U.S. and Europe seeking to develop their domestic energy supplies in a bid for independence, Saudi Arabia needs to cultivate other sources of growth to support its fast-growing young population. The Saudi leadership is aware of the increased prominence of some of its Gulf neighbors. Tiny Qatar is using its natural-gas-fueled wealth to invest in trophy assets all over the world and to develop Doha. The country is expected to spend more than $100 billion on airports, stadiums and other infrastructure for hosting the FIFA World Cup of football in 2022. Qatar is also playing an active role in the reconstruction of Egypt and in diplomacy aimed at ending the war in Syria. For Saudi Arabias octogenarian rulers, who are used to being the center of power in the region, the growing clout of neighbors like Qatar serves as one more argument in favor of liberalization. Will Saudi Arabia Open Its Exchange?